This is just a sample of books that have been published by members of CRECS. 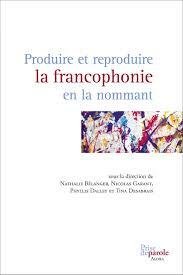 Please visit the French version of this web page to see other examples of books published by our Senior Researchers. Note: All references are listed in APA style. Provided links lead to uOttawa permalinks available on campus only or through VPN client. This volume develops a theoretical and critical foundation for understanding "maladministration"―the phenomena of harmful administrative and organisational behaviours in educational systems. Chapter authors provide theoretical and practice-based perspectives across international contexts regarding common destructive practices that occur in educational organisations, such as negligence and mistreatment of people, professional dishonesty, fraud and embezzlement, abuse of power, and corrupt organisational cultures. 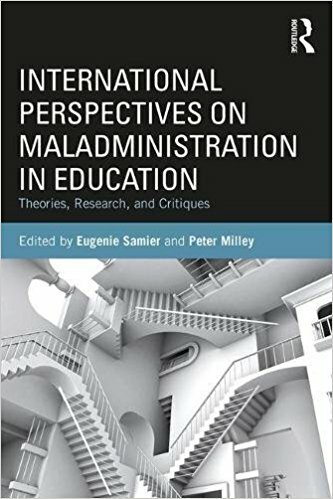 International Perspectives on Maladministration in Education shines a light on this complex topic by examining various practices at individual, group, organisational, and system levels; the contexts and influences that give rise to them; and potential remedies to ensure more accountable, just, and safe institutions. Reference: Samier, E., Milley, P. (Eds.) International perspectives on maladministration in education: Theories, research and critiques. Milton Keynes, UK: Routledge Falmer, In press. 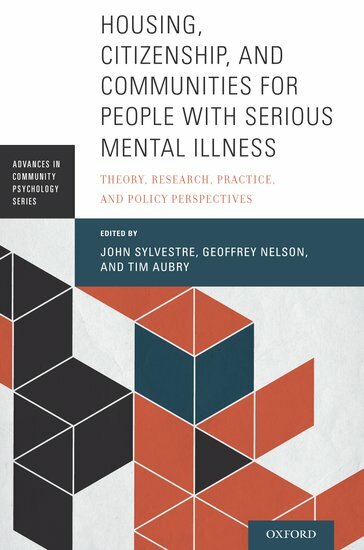 Reference: Sylvestre, J., Nelson, G. B., & Aubry, T. (2017).Housing, citizenship, and communities for people with serious mental illness: theory, research, practice, and policy perspectives. New York, NY, United States of America: Oxford University Press. 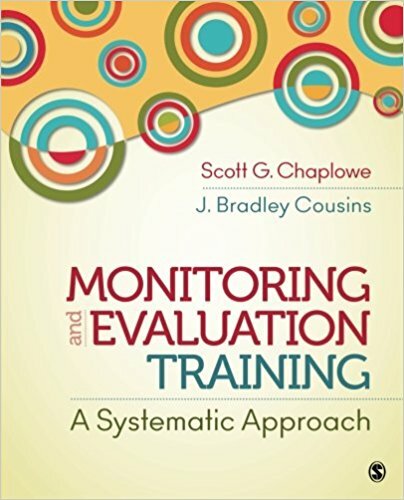 Monitoring and Evaluation Training fills a gap in the literature by providing readers with a systematic approach to monitoring and evaluation (M&E) training for programs and projects. Bridging theoretical concepts with practical, how-to knowledge, authors draw upon the scholarly literature, applied resources, and over 50 years of combined experience to provide expert guidance for M&E training that can be tailored to different training needs and contexts, from training for professionals or non-professionals, to organization staff, community members, and other groups with a desire to learn and sustain sound M&E practices. Reference: Chaplowe, S. & Cousins, J. B. (2016). Monitoring and evaluation training that makes a difference: A systems approach to M&E training. Thousand Oaks: Sage. Gain a greater understanding of organizational capacity to do and use evaluation and implications for evaluation capacity building (ECB). This volume is unique in that it represents a multiple case study of eight organizations that were committed to ECB. Reference: Cousins, J. B., & Bourgeois, I. (2014). 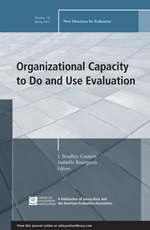 Organizational capacity to do and use evaluation: New directions for evaluation. San Francisco, CA: Jossey-Bass. 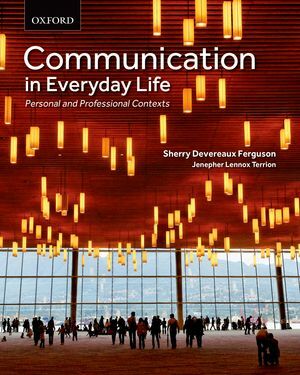 This comprehensive yet exceptionally accessible introduction to interpersonal communication uses engaging narratives and examples from a range of disciplines to provide a well-rounded treatment of the concepts, theories, and applications of communication in everyday life. Reference: Ferguson, S., & Terrion, J. Lennox. (2014). Communication in everyday life: Personal and professional contexts. Toronto, ON: Oxford University Press Canada. Reference: Hunsley, J., & Lee, C. M. (2014). Introduction to clinical psychology: An evidence-based approach. 3rd ed. Toronto, ON: Wiley. Developing the CanMEDS Professional is part of a series of eBooks designed to help medical educators teach and evaluate trainees in each of the intrinsic CanMEDS roles. Reference: Johnston, D., Montpetit, M., Hogue, R. J., Geller, C., MacDonald, C. J., & Johnston, S. (2014). 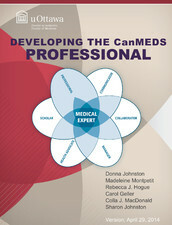 Developing the CanMEDS Professional. Ottawa, ON: University of Ottawa, Faculty of Medicine. Essential Teaching Skills (ETS) is a series of professional development workshops intended to help preceptors become better teachers. Each of the workshops are CME-certified by the Canadian College of Family Physicians (CCFP) for Mainpro credit. Each workshop consists of a four-hour face-to-face workshop with active discussion and activities, followed by a three-month reflection on practice. Reference: Montpetit, M., Hogue, R. J., Geller, C., MacDonald, C. J., & Johnston, S. (2014). 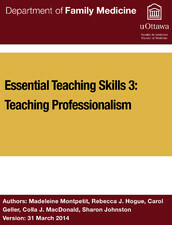 Essential teaching skills 3: Teaching professionalism. Ottawa, ON: University of Ottawa, Department of Family Medicine. Si vous désirez mieux comprendre vos élèves ayant des besoins particuliers et les accompagner vers la réussite, ce guide est fait pour vous! 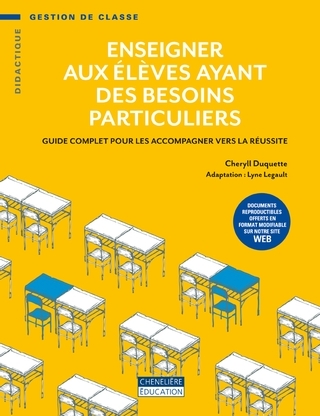 En effet, cet ouvrage bien vulgarisé vous explique de façon concise les problématiques actuelles vécues par les élèves du primaire et du secondaire ayant des besoins particuliers. Les symptômes et les caractéristiques de chaque cas vous sont expliqués afin de vous aider à les reconnaître et à mieux les comprendre. Des conseils pratiques vous permettront d’intervenir efficacement auprès de ces élèves et d’ajuster votre enseignement de façon réaliste selon les besoins de l'ensemble de la classe. Plusieurs outils pratiques, sous forme de fiches reproductibles, vous sont offerts dans l’ouvrage. Référence: Duquette, C. (2014). Enseigner aux élèves ayant des besoins particuliers. Montréal, QC: Chenelière Éducation. Amid controversies about the causes, diagnosis, and treatment of autism, a timely collection of new and critical perspectives on how the disorder is understood and represented. Bringing together innovative work on autism by international scholars in the social sciences and humanities, Worlds of Autism boldly challenges the deficit narrative prevalent in both popular and scientific accounts of autism spectrum disorders. A major contribution to this emerging, interdisciplinary field, it situates autism within an abilities framework that respects the complex personhood of individuals with autism. Reference: Davidson, J., & Orsini, M. (2013). 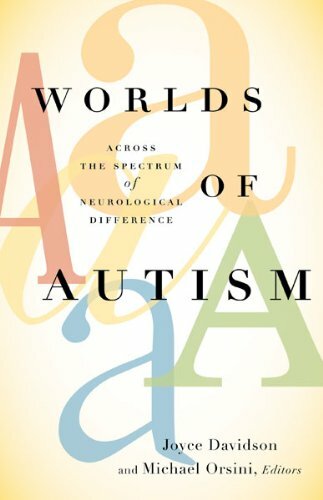 Worlds of autism: Across the spectrum of neurological difference. Minneapolis, MN: University of Minnesota Press. The second edition contains new chapters on fetal alcohol spectrum disorder [Chapter 12], autism spectrum disorder and mental health problems. This expanded and revised edition is a practical guide for working with all students in the regular classroom and students with different strengths and learning styles, intelligence, interests, and cultural backgrounds. New material includes a thorough exploration of differentiated instruction for all students, along with a step-by-step guide based on the real experiences of teachers. New insights into positive relationships with parents and families, along with organizing transitions for students with exceptionalities, are provided. Both new and experienced teachers will learn to make a difference in the lives of their students. Reference: Duquette, C. (2013). 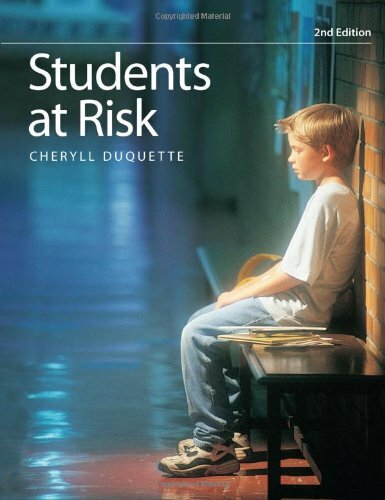 Students at risk (2nd edition). Markham, ON: Pembroke Publishers Limited. This eBook offers a practical look at teaching and learning from the standpoint of a beginning teacher. It explores theories, issues, and strategies for teaching and assessing student learning. It uses the Ontario Curriculum as basis to examine curriculum in general, however the process is applicable to any elementary school curriculum. It will also provide templates for planning lesson and unit materials, as well as assessment tools. Reference: MacDonald, C. J., Mace, H., Archibald, D., & Sun, R. (2013). 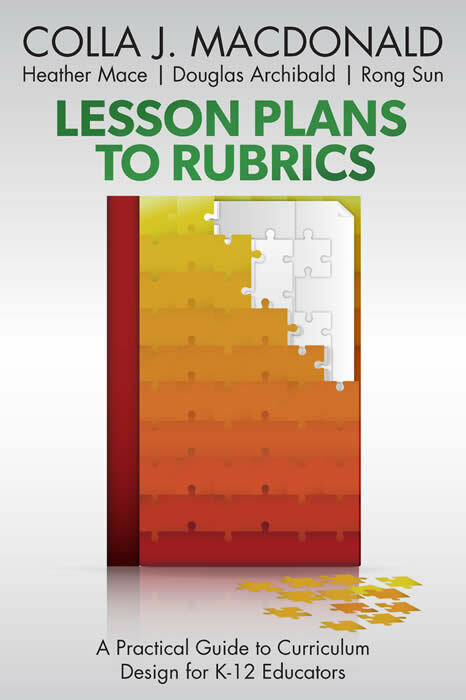 Lesson plans to rubrics: A practical guide to curriculum design for K-12 educators. Ottawa, ON: CollaLearning Corp. This eBook is designed to introduce students and novice researchers to research concepts and processes. You are not alone if you have been assigned the task of writing a research paper or thesis proposal and do not know where to start! Even defining the research question can at first seem overwhelming. Introduction to Research: Demystifying the Research Process is designed to introduce students and novice researchers to research concepts and processes in education, as well as in other social science disciplines. 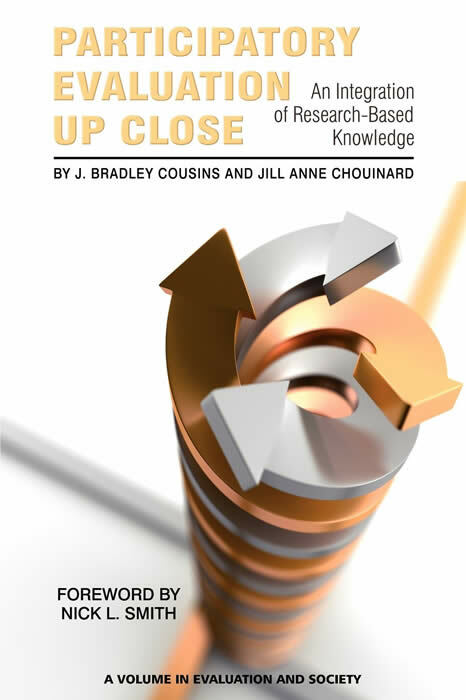 This eBook will help you understand how to read research reports critically, introduce you to different types of research, and provide guidelines for conducting research yourself. What sets this eBook apart from other introductory texts to research is the inclusion of an extensive number of examples that come from the students in our classes, beginning researchers, and our own work as researchers in various stages of our careers. It is our intention that these make the eBook practical and meaningful for you. Reference: MacDonald, C. J., Stodel, E. J., Thompson, T. L., Archibald, D., & Sun, R. (2013). 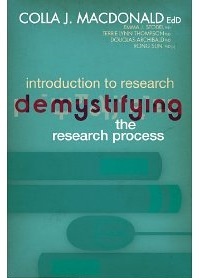 Introduction to research: Demystifying the research process. Ottawa, ON: CollaLearning Corp.
Much of the psychological research in the last century has been conducted in the global North West; hence, many prevailing theories and methodologies reflect the philosophical framework and shared cultural knowledge of this region. Other world views and cultural contexts have, as yet, not had the same opportunity to develop scientific insights that come to the attention of global audiences. Psychology Education and Training is the first truly international effort to generate a framework for common standards in psychological education and training across the globe. Psychologists have long studied human beings in their socio-cultural context. New challenges such as globalisation and the relationship of the brain and behavior require that education and training keep pace with these rapidly evolving developments. The chapters in this book were generated by an international conference which resulted in the Dornburg Accord. While anchored in higher education, the focus is on the generative and translational psychological science needed to fulfill psychology's responsibility to society. Psychology Education and Training is the first book of its kind to cover both historic strengths and the requirements of emerging fields. The book deals with balancing the universalities and cultural specificities of psychological processes, the adjustments to academic curricula required to support national needs, as well as the credentials and regulations required to assure the quality of psychological services. Psychology Education and Training is unique in providing initial data and concurrent assessment of various components of education and training in psychology across the globe. The book is a must for faculty members, advanced students of psychology and policy-makers who are interested in the issues that shape their societies. Reference: Silbereisen, R. K., Ritchie, P. L.-J., & Pandey, J. (2013). 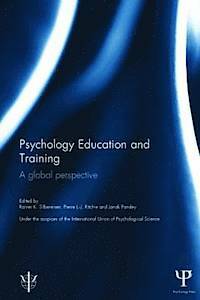 Psychology education and training: A global perspective. Hove, UK: Psychology Press / Taylor & Francis. 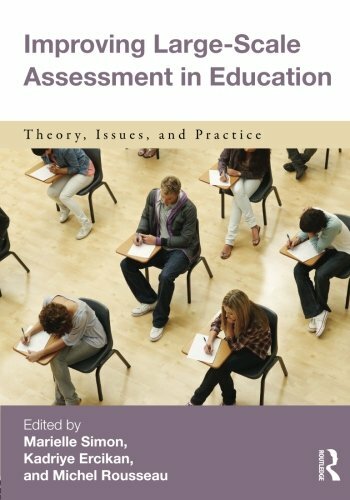 No other book so thoroughly covers current issues in the field of large-scale assessment. An introductory chapter is followed by sixteen chapters that each focus on a specific issue. The content is prescriptive and didactic in nature but based on the most recent scientific research. It includes successful experiences, exemplary practices, training modules, interesting breakthroughs or alternatives, and promising innovations regarding large-scale assessments. Finally, it covers meaningful topics that are currently taking center stage such as motivating students, background questionnaires, comparability of different linguistic versions of assessments, and cognitive modeling of learning and assessment. Reference: Simon, M., Ercikan, K., & Rousseau, M. (2013). Improving large-scale assessment in education: Theory, issues and practice. New York, NY: Routledge. Building on a growing movement within developing countries in Latin America, Africa, and Asia-Pacific, as well as Europe and North America, this book documents cutting edge practice and builds theory around a rights based approach to women’s safety in the context of poverty reduction and social inclusion. 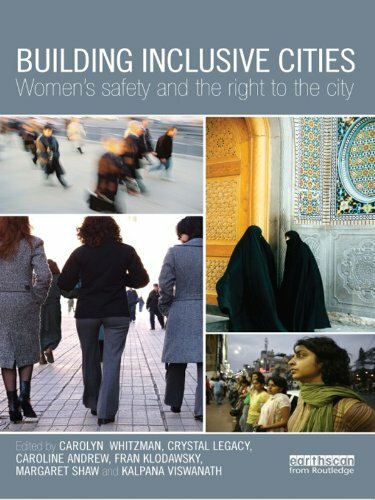 Drawing upon two decades of research and grassroots action on safer cities for women and everyone, this book is about the right to an inclusive city. The first part of the book describes the challenges that women face regarding access to essential services, housing security, liveability and mobility. The second part of the book critically examines programs, projects and ideas that are working to make cities safer. Building Inclusive Cities takes a cross-cultural learning perspective from action research occurring throughout the world and translates this research into theoretical conceptualizations to inform the literature on planning and urban management in both developing and developed countries. This book is intended to inspire both thought and action. Reference: Whitzman, C., Legacy, C., Andrew, C., Klodawsky, F., Shaw M., & Viswanath, K. (2013). Building inclusive cities: Women's safety and the right to the city. New York: Earthscan from Routledge. Ontario receives the majority of newcomers to Canada, and its cities are a locus of diversity. Recognizing that the building and sustenance of "welcoming communities" is as much a local project as a national and provincial one, this volume explores the activities of municipal governments in Ontario as well as those of a number of other important "social forces" situated at the local level. Twelve city case studies are guided by a common template to facilitate comparisons and allow for an overall mapping of the players and a better estimation of the investments - human and financial - that are required for the successful integration and inclusion of newcomers and minorities in Ontario cities. The conclusion provides a sense of the relative success (or failure) that Ontario cities have had in the creation of welcoming and inclusive communities. Reference: Andrew, C., Biles, J., Burstein, M., Esses, V. M., & Tolley, E. (2012). 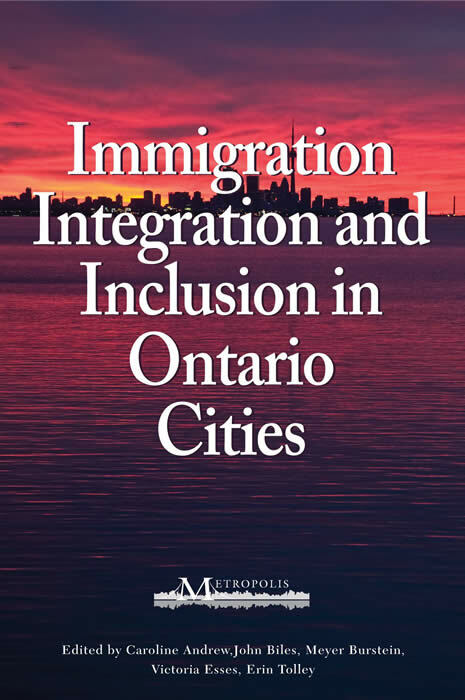 Immigration, integration, and inclusion in Ontario cities. Montreal, QC: McGill-Queen's University Press. 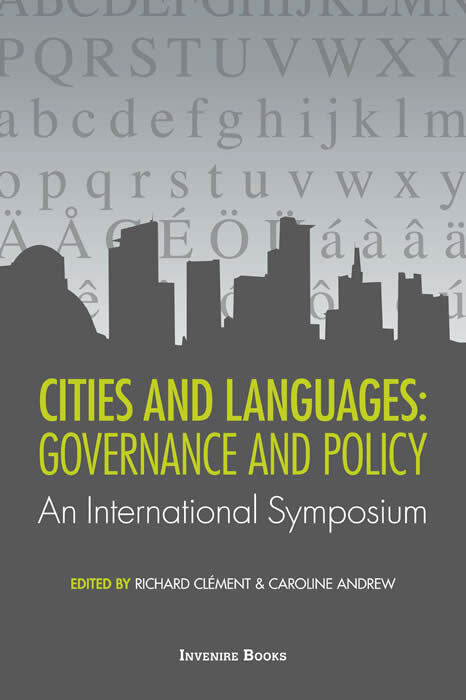 Proceedings of the international symposium, “Language Planning in Capitals and Urban Environments,” held March 25-26, 2010 at the University of Ottawa, with sponsorship from the Official Languages and Bilingualism Institute, Canadian Heritage, the Office of the Commissioner of Official Languages and the City of Ottawa. Reference: International Symposium "Language Planning in Capitals and Urban Environments: Practices and Challenges", Andrew, C., & Clément, R. (2012). 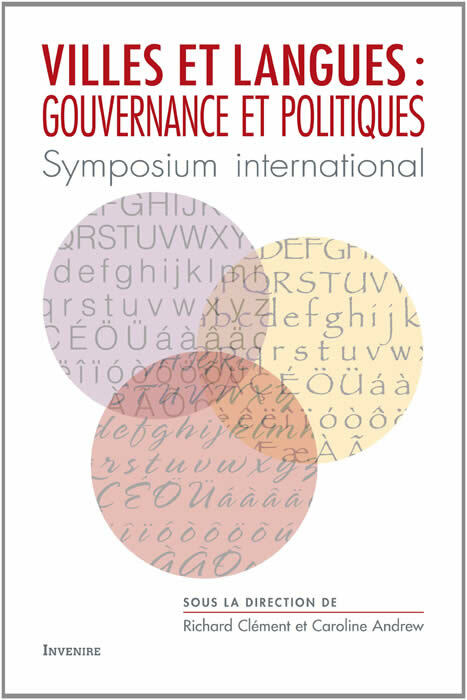 Cities and languages: Governance and policy: An international symposium. Ottawa, ON: Invenire Books. Empiricism provides the backbone of knowledge creation within social science disciplines (e.g., psychology, sociology) and applied domains of study (e.g., education, administration) alike. Yet, relative to such domains of inquiry, comparatively little empirical research on evaluation has occurred, and the research knowledge base been infrequently synthesized and integrated to influence theory and practice. The proposed book aims to fill this void with regard to participatory evaluation, a set of collaborative approaches to evaluation that is receiving considerable attention of late, including a growing body of empirical studies. Reference: Cousins, J. B., & Chouinard, J. A. (2012). Participatory evaluation up close: An integration of research-based knowledge. Charlotte, NC: Information Age Pub. International in scope, this book examines evidence-based youth policies, and it presents a systematic and interdisciplinary reflection on what has been termed the "magic triangle," i.e. the relationship between youth policies, youth research, and practical youth work, based on the necessity of organizing knowledge exchange between different actors in the youth field. 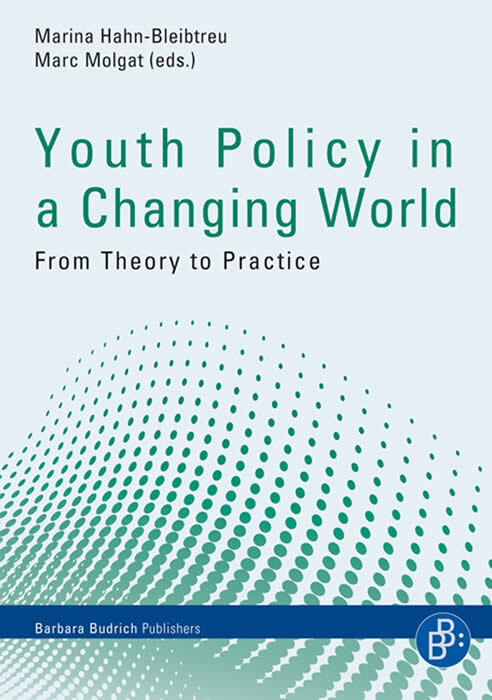 On this basis, researchers from across the globe analyze and discuss the contexts and strategies of youth policy development, the theories that underlie youth policy, and the models and impact of youth policy in different societies. This study includes: an analysis of the impact of economic, social, and cultural change on young people in different world regions, locations, and social contexts an explanation of the theories of youth that underpin youth policy a discussion of strategies for the development and implementation of youth policies in different world regions an evaluation of the impact of current youth policies at regional, national, and international levels, while identifying gaps and misalignments in youth policy an analysis of applied models of cross sectional policy and practice in the youth sector, describing policy development processes and ways in which professionals can influence policy an examination of the contributions of youth research to the development of evidence-based youth policies in areas such as values, employment, participation, citizenship, migration, social exclusion, and vulnerability. Reference: Hahn-Bleibtreu, M., & Molgat, M. (2012). Youth policy in a changing world: From theory to practice. Leverkusen, Germany: Barbara Budrich Publishers. Reconsidering Canadian Curriculum Studies invites us to ponder, to pay attention, and to ask more of the curriculum studies we conduct. It provokes readers to study their historical topographies and their future lines of movement, while stretching their understandings of contemporary circumstances either in Canada or abroad. The chapters cover the different geocultural and interdisciplinary territories of curriculum studies (life-writing methodologies, phenomenology, anti-racist education, gender, semiotic analysis, curriculum theorizing, cultural studies, indigenous studies, place, and others). Both established and junior scholars set forth a diverse and thought-provoking array of their lived experiences inside and outside the institutional contexts of public schooling, imagining how future Canadian curriculum scholars might advance knowledge within the broader international field of curriculum studies. Reference: Ng-A-Fook, N., & Rottmann, J. (2012). 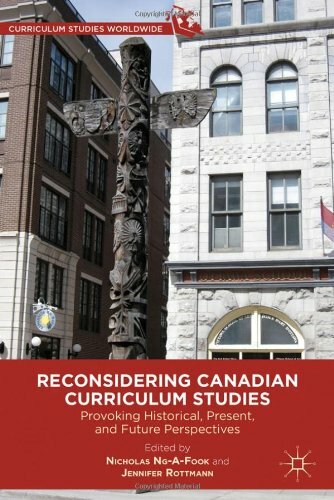 Reconsidering Canadian curriculum studies: Provoking historical, present, and future perspectives. New York, NY: Palgrave Macmillan. Le Symposium sur l'aménagement des langues dans les capitales et milieux urbains a réuni des administrateurs et des chercheurs du Canada et de certaines villes européennes pour discuter de la planification linguistique dans les environnements urbains. Deux concepts importants ont émergé des débats : le bilinguisme municipal en tant qu actif qui mérite qu'on en fasse la promotion plutôt que de le considérer comme une simple réglementation à supporter; et le bilinguisme en tant que symbole d'ouverture et d'inclusion que les villes auraient avantage à utiliser pour se distinguer favorablement de leurs concurrentes. Ce volume présente une série d'études qui, dans leur ensemble, offrent un riche mélange d'aperçus éclairants sur l'évolution de certaines villes bilingues et multilingues, et de recommandations pour leur développement futur. Référence: Symposium international "L'Aménagement des langues dans les capitales et les milieux urbains: pratiques et défis", Andrew, C. et Clément, R. (2012). Villes et langues : Gouvernance et politiques. Ottawa, ON: Invenire. Ce livre offre une base théorique en décortiquant, notamment, la théorie des stades de développement du raisonnement éthique de Kohlberg ainsi que les trois grandes familles de théories éthiques contemporaines que sont l’éthique utilitariste, l’éthique déontologique et l’éthique des vertus. Aussi, il permet de saisir ce qu’est une valeur, en vue de réfléchir à l’identité des individus et à ce qui les motive à agir. Cette clarification de la notion de valeur facilite l’identification et l’analyse des dilemmes éthiques que rencontre l’ergothérapeute. Enfin, cet ouvrage propose dix étapes pour résoudre de façon structurée, méthodique et rigoureuse les problèmes éthiques reliés à la pratique de l’ergothérapie. Référence: Drolet, M.-J. (2012). 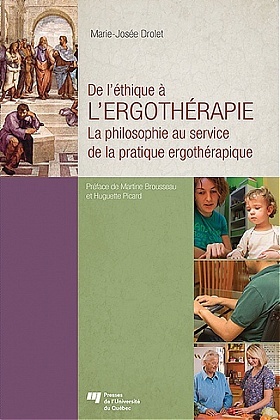 De l'éthique à l'ergothérapie : la philosophie au service de la pratique ergothérapique. Québec, QC: Presses de l'Université du Québec. Although two decades have passed since the nearly universal ratification of the UN Convention on the Rights of the Child, the realization of children’s rights throughout much of the developing world continues to be a significant challenge. This collection of “essays from the field” combines accounts of the experiences and perspectives of marginalized children in ten developing countries with critical assessments of current child rights policies and strategies of intervention. 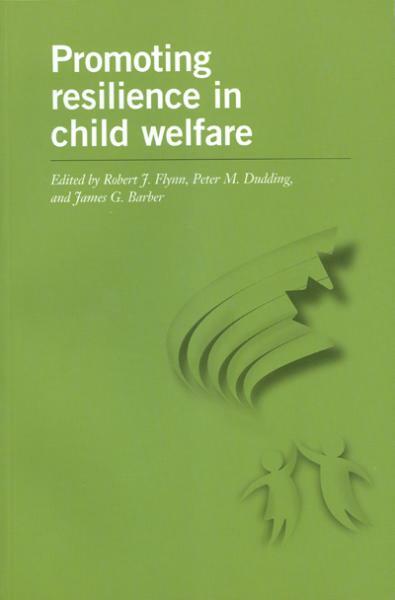 In considering children living in arduous circumstances such as violent conflict, exploitative labor, incarceration, and institutional care, the collection also highlights the possibilities of enhancing the fundamental resiliency of children. Reference: Denov, M., Maclure, R., & Campbell, K. (2011). 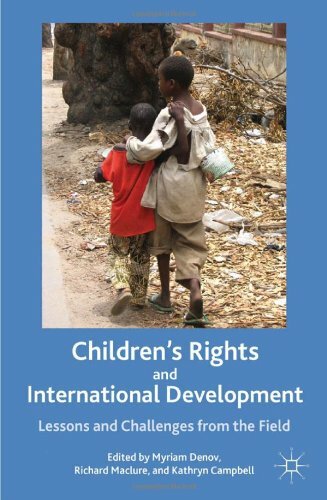 Children’s rights and international development: Lessons and challenges from the field. New York, NY: Palgrave Macmillan. Cet ouvrage collectif porte sur les méthodes et les enjeux de l’évaluation de la lecture et de l’écriture en milieu scolaire. En commençant par situer la littératie dans son contexte historique et social, les auteurs discutent des formes et des fonctions actuelles de l’évaluation de la littératie ainsi que des caractéristiques d’un bon outil d’évaluation. Ils abordent aussi plusieurs contextes particuliers de l’évaluation : la littératie familiale, le dépistage des enfants à risque d’éprouver des difficultés en lecture, le pistage des progrès en lecture, l’évaluation diagnostique des élèves en difficulté, l’évaluation de la dyslexie et l’évaluation de la littératie numérique. Ce collectif est un ouvrage de référence incontournable pour les chercheurs et les intervenants en littératie et en alphabétisation. Référence: Berger, M.-J. et Desrochers, A. (2011). 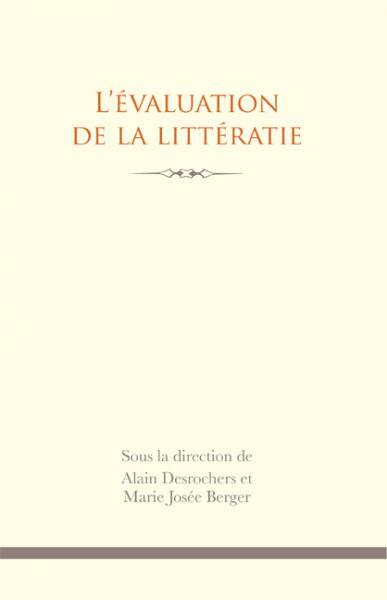 L'évaluation de la littératie. Ottawa, ON: Presses de l'Université d'Ottawa. 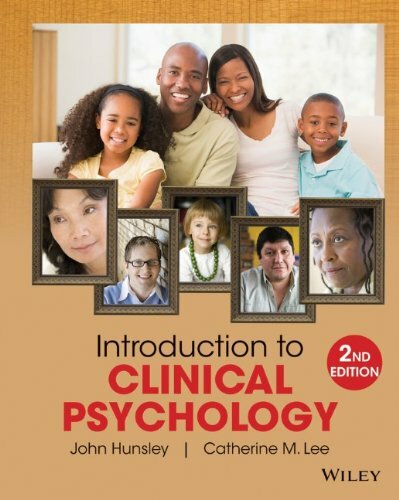 Hunsley and Lee’s Introduction to Clinical Psychology: An Evidence - Based Approach, 2nd Edition provides clinical psychologists with an up-to-date resource that focuses on the scientific method and those clinical practices that are supported by research. This text offers important opportunities to contextualize clinical practice. Issues of diversity are examined while demonstrating how practice differs in populations of different ages. Current case studies are presented to provide a real-world perspective, while engaging Viewpoint boxes highlight fascinating and important debates. Reference: Hunsley, J., & Lee, C. M. (2010). 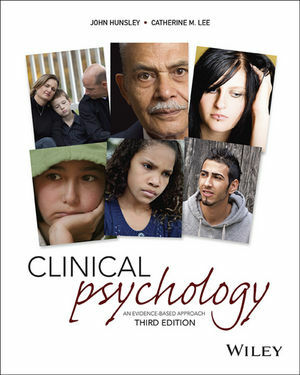 Introduction to clinical psychology: An evidence-based approach. New York, NY: Wiley. « Être francophone, qu’est-ce que cela signifie ? » Ce terme n’est pas soumis à un cadre de référence précis; il transcende les frontières nationales en véhiculant un sentiment d’attachement et une solidarité interétatiques. Pourtant, la francophonie est bel et bien à l'origine d’une certaine activité dans le contexte national. Le questionnement sur soi et sur les liens qui nous rattachent à cette nébuleuse qu’est la francophonie perdure au sein de la population et des institutions et associations de l’État. Considérant qu’aucun cadre, politique ou social, n’est capable d’orienter ce questionnement, dix-neuf spécialistes de disciplines diverses envisagent la francophonie sous une forme moins ambitieuse, en privilégiant une approche relationnelle. Selon eux, la francophonie se réincarnerait dans les processus sociaux, politiques et institutionnels sans pour autant être une transposition de balises officielles établies par l’État. Il importe donc de miser sur l’aspect social de la définition en engageant, par rapport aux signes de la francophonie, un dialogue critique sur les circonstances de leur apparition, les moments de leur énonciation, les péripéties de leur réception et les imprévus de leur appropriation. Les articles ici réunis aspirent ainsi à comprendre la façon dont les définitions qui s'opèrent au sein des interactions construisent la réalité. 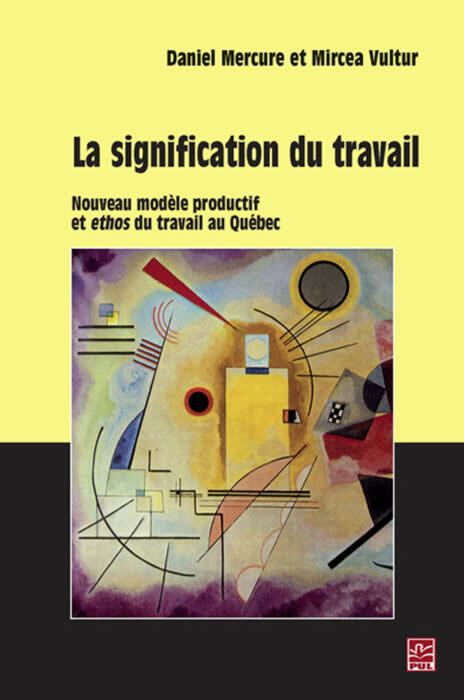 Référence: Bélanger, N., Garant, N., Dalley, P. et Desabrais, T. (2010). Produire et reproduire la francophonie en la nommant. Sudbury, ON: Éditions prise de parole. Les défis liés à l'évaluation des compétences et des apprentissages complexes sont nombreux et variés. Depuis plusieurs années, on cherche à définir des méthodologies afin de permettre aux enseignant(e)s et à toutes les personnes concernées de faire reposer leur jugement sur des bases solides surtout quand les enjeux sont critiques comme dans le cas de l'évaluation sommative ou certificative. Cet ouvrage présente des solutions pratiques basées sur des théories récentes et permettant de mieux évaluer les compétences et particulièrement en éducation scientifique même si les éléments qui sont proposés sont facilement transférables à d'autres disciplines (mathématique, histoire, etc.). Autant les chercheurs(euses) que les praticien(ne)s trouveront leur compte dans cet ouvrage qui présente les résultats d'une solide expérimentation du modèle dans des conditions d'enseignement réalistes ainsi que des situations d'évaluation qui ont été expérimentées en salle de classe. Référence: Dionne, E. (2010). 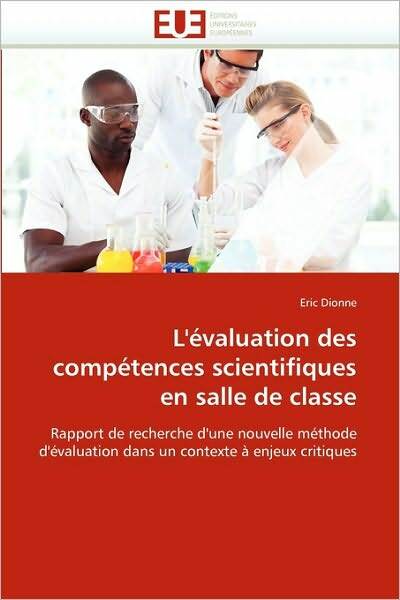 L’évaluation des compétences scientifiques en salle de classe : rapport de recherche d’une nouvelle méthode d’évaluation dans un contexte à enjeux critiques. Sarrebruck, Allemagne: Les éditions universitaires européennes. Ce livre dresse un portrait pénétrant de la complexité des valeurs, des attitudes et des croyances relatives au travail de la population active québécoise. Quelle importance et quelle signification revêt le travail aujourd’hui ? Le travail est-il de plus en plus un lieu de réalisation de soi ou n’est-il qu’une valeur en perdition, voire un simple moyen en vue de financer la vie à l’extérieur du travail ? Quel est le modèle de travail idéal auquel aspirent les travailleurs et quelles sont leurs attitudes envers les nouvelles normes et pratiques de gestion mises de l’avant par les employeurs au cours des deux dernières décennies ? Plus fondamentalement, de quelle manière l’identité personnelle est-elle reliée ou dissociés du rôle professionnel ? Issu d’une vaste enquête auprès d’un millier de travailleurs québécois, ce livre montre que le travail est toujours une valeur importante, mais que la réalisation de soi et la quête d’équilibre entre la vie privée et la vie professionnelle sont des aspirations de plus en plus partagées par les individus. Les grands schèmes de valeurs et d’attitudes par rapport au travail mis au jour dans l’ouvrage témoignent de changements culturels récents ainsi que de la diversité des situations de travails vécues. À des degrés divers, ces schèmes convergent vers les exigences du modèle productif contemporain ou s’en distancient : ils contribuent à l’émerveillement d’un nouveau monde du travail. Référence: Mercure, D., Vultur, M., Bourdages-Sylvain, M.-P., Fleury, C. et Negura, L. (2010). La signification du travail : nouveau modèle productif et ethos du travail au Québec. Québec, QC: Presses de l’Université Laval. Cette recherche examine le stress, les stratégies d'adaptation et l'épuisement professionnel chez 245 stagiaires francophones en enseignement primaire et secondaire à l'Université d'Ottawa. Deux objectifs ont été cibles : (1) cerner les caractéristiques psychométriques de trois tests traduits en français, a savoir le « Teacher Stress Inventory » (TSI), le « Brief COPE » et le « Maslach Bumout Inventory » (MBI), et (2) déterminer dans quelle mesure les stagiaires sont stressés et épuisés, quelles en sont les principales sources et quelles sont les stratégies d'adaptation les plus utilisées selon le sexe, l'expérience professionnelle et le niveau d'enseignement (primaire/secondaire). Une première modélisation par équations structurales (MES) confirme la structure du TSI. Les scores des répondants suggèrent que les stagiaires ne sont pas stressés outre mesure, donc qu'ils sont encore moins à risque d'épuisement professionnel. Une seconde MES intègre les mesures effectuées par le MBI et révèle que des stratégies d'adaptation agissent d'une façon médiatrice dans la relation entre le stress et l'épuisement professionnel. Référence: Montgomery, C., Demers, S. et Morin. Y. (2010). Le stress, les stratégies d’adaptation et l’épuisement professionnel chez les stagiaires francophones en enseignement primaire et secondaire. La revue canadienne de l’éducation, 33(4), p. 761-803. Bringing together the expertise of top evaluation leaders from around the world, The SAGE International Handbook of Educational Evaluation addresses methods and applications in the field, particularly as they relate to policy- and decision-making in an era of globalization. The comprehensive collection of articles in the Handbook compels readers to consider globalization influences on educational evaluation within distinct genres or families of evaluation approaches. Reference: Ryan, K. E., & Cousins, J. B. (2009). The SAGE international handbook of educational evaluation. Los Angeles, CA: SAGE Publications. Electing a Diverse Canada presents the most extensive analysis to date of the electoral representation of immigrants, minorities, and women in Canada. Covering eleven cities, as well as Canada’s Parliament, it breaks new ground by assessing the representation of diverse identity groups across multiple levels of government. Electoral representation is an important indicator of a democracy’s health, and this book provides both a baseline for future research and an outline of the key challenges facing Canadian democracy. Reference: Andrew, C. (2008). 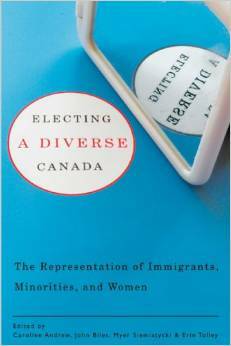 Electing a diverse Canada: The representation of immigrants, minorities, and women. Vancouver, BC: UBC Press. L’agglomération serait-elle le territoire optimal de la gouvernance locale ? Chacune à leur manière, les fusions municipales québécoises et les instances de coopération intercommunale françaises cherchent à réconcilier les territoires « des problèmes » avec les territoires « des solutions » à travers un nouvel échelon : l’agglomération. 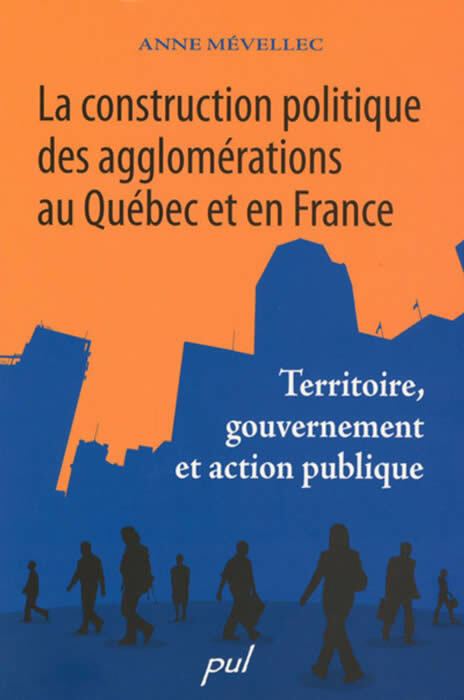 Ce livre, qui s’appuie sur une analyse exhaustive des mécanismes organisationnels, territoriaux et politiques ayant conduit à la création de Ville Saguenay (Québec) et Rennes Métropole (France) présente les changements qui accompagnent le glissement de l’échelon municipal traditionnel vers un échelon aggloméré. Référence: Mévellec, A. (2008). La construction politique des agglomérations au Québec et en France : territoire, gouvenmement et action publique. Sainte-Foy, QC: Presses de l'Université Laval. Reference: LeGrow, C. W., Trumpower, D. L., & Beard, K. W. (2007). 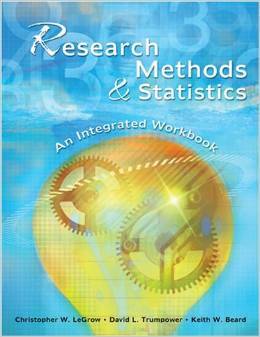 Research methods & statistics: An integrated workbook. Dubuque, Iowa: Kendall/Hunt. Conceptions of use are grounded within a common conception that use and influence can be traced to evaluation findings or to the knowledge outputs of evaluative activities. Yet a qualitatively different type of use and impact began to emerge from evaluation practice and research on it. This other sort of consequence -- process use -- appeared to be attributable to something wholly independent of evaluation findings, specifically, the activities or processes of evaluation as opposed to its products or outputs. This volume is a multifaceted exploration of process use; it includes methodological, empirical, and conceptual inquiries as well as rich narrative forays into the domain of evaluation practice. Such a comprehensive approach serves to deepen understanding of process use as being pivotal in contemporary theory on evaluation consequences. Reference: Cousins, J. B. (2007). Process use in theory, research, and practice. San Francisco, CA: Jossey-Bass and American Evaluation Association. Quelles mesures disciplinaires doit appliquer l'école afin de contrer les comportements violents des enfants de 3 à 9 ans, sans entraver leur processus de scolarisation et de socialisation? 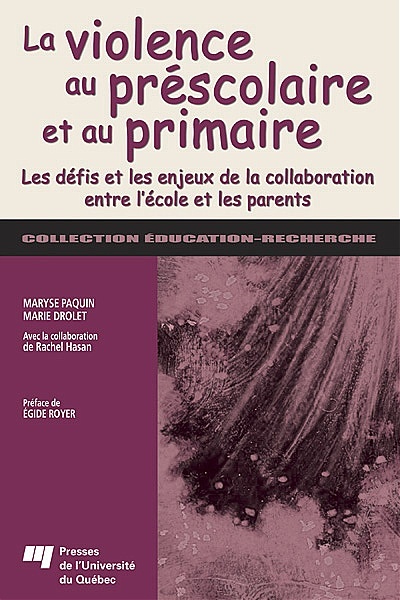 Quels sont les défis et les enjeux de la collaboration entre l'école et les parents de ces enfants ? C'est à ces questions que les auteures tentent d'apporter des éléments de réponse. Elles ont recueilli leurs données dans la cadre d'entrevues effectuées auprès de soixante parents d'enfants de 3 à 9 ans, qui ont fait l'objet d'une suspension ou d'une possibilité de suspension scolaire à la suite de comportements violents envers leurs pairs. A partir des perceptions parentales, elles dégagent des pratiques, des moyens et des solutions qui permettront de mieux collaborer avec l'école. Toutefois, les dires des parents suscitent énormément de réactions: leur perception du problème peut parfois sembler inconfortable et dérangeante, notamment aux yeux du personnel scolaire. C'est pourquoi cette problématique exige non seulement de poursuivre la réflexion et l'action mais également la recherche dans le domaine de la prévention et de l'intervention précoces de la violence au préscolaire et au primaire, dont le but ultime est d'assurer le mieux-être des enfants, de leur famille, de l'école, de la communauté, voire de toute une société. Référence: Paquin, M., Drolet, M., Hasan, R. et Royer, E. (2005). La violence au préscolaire et au primaire : les défis et les enjeux de la collaboration entre l'école et les parents. Sainte-Foy, QC: Presses de l'Université du Québec.